A question on Facebook recently caught my eye. A yoga teacher was posing the question “Is yoga a religion?” The lady in question continued to say that several of the students in her classes were expressing concerns about this issue. The question is an interesting one to think about, and in order to study it further it is useful to look back within the yogic literature, to find out when concepts such as faith first appeared and the context in which they did so. Today, on hearing the word “faith”, most of us, especially in the Western world, immediately make associations such as “the Catholic faith”, “the Protestant faith” and so forth. However, when the Vedic seers were singing their songs of praise to faith, belief systems such as this did not exist. The gods and goddesses of Hinduism developed much later from the Vedic canon, and of course, Christianity and other western religions came a lot later still. Other words sometimes associated with our yoga practice can add to the impression that yoga is a religion. For example, teachers sometimes tell us to put our hands into “prayer” position, and often the Veda-s are spoken of as sacred scriptures or hymns. Put together, this all contributes to the worries by some potential yoga students that yoga is indeed a religion, or that by following a yogic path they will be tempted away from their own “faith”. What the ancient Indian seers meant by faith was the unshakeable conviction that within our own heart there is a place of purity and serenity, and this if we are able to truly connect with this place, we can live in a state of contentment and peace. If we can live our lives by what our hearts tell us, we make the right decisions for ourselves and those around us. When life becomes difficult and sometimes overwhelming, it is our faith that the real Self is within, permanent and unchanging, that can provide a lifeline. This meaning of faith is not of course at odds with the core of most religions, but it can give rise to some misunderstandings at times. I hope this article has given some food for thought and some potential answers to students who might find the idea of yoga being a religion an offputting one. 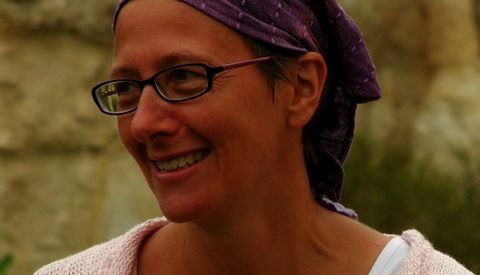 During spring 2012 Marian is offering a course of different yoga classes in Ceret. Dynamic yoga for those looking to build physical fitness; yoga for relaxation is a gentler class using postures and the breath to aid relaxation and stress relief; meditation; and a monthly class learning to chant the ancient Veda-s. Proceeds from all classes will be donated to the New Futures Foundation, Cambodia.